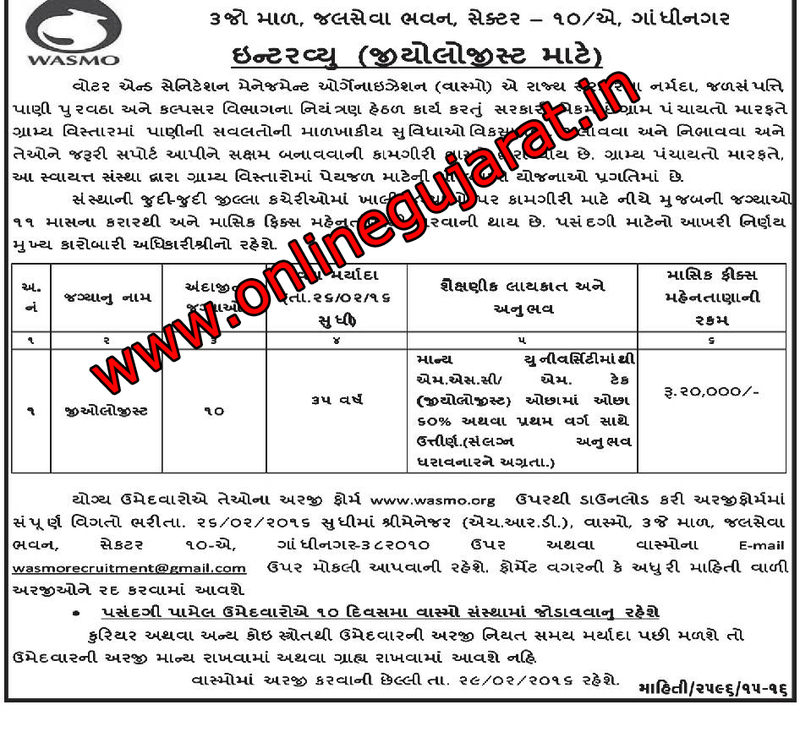 Water and Sanitation Management Organisation (WASMO), Gandhinagar (Gujarat) published notification for recruitment for Geologist post under Narmada Water Resources, Water Supply and Quality. Education Qualification: M.Sc / M.Tech in Geology from recognized university with 60% or above. Experience in Hydrology will be preferable. Selection Process: Candidates would be selected based on performance in the Personal Interview. Send your application to below address: The Manager (HR), WASMO, 3rd Floor, Jalsevabhavan, Sector 10-A, Gandhinagar-382010.